Then again, it was also Patel's general flatness and apathetic portrayal of the main character that failed to drive the film. There was an intellectual disconnect between what should be happening and what was happening. He lacked the depth and experience (and age) to dig into the psyche of Saroo. What actually worked to provide the emotional resonance were the achingly honest sentiments behind the truth. And Kidman and the Indian actors Sunny Pawar, as Young Saroo, and Priyanka Bose, as Saroo's biological mother, Kamla, helped to project these sentiments across. The varied accents throughout the film were also a misstep by Davis. Hollywood liked to talk so much about whitewashing, but where's the uproar when you have a non-Aussie Patel trying to fake an Aussie accent? Especially when his on-screen adopted brother has such a thick Tassy accent. Pawar was a great choice to play young Saroo, with his wide-eyes and cherubic innocence. However, Luke Davis' characterisation of him did him no favour and Garth Davis was unable to ellicit deeper complications from the child actor. Bose and Kidman were truly the heart of the film and they both did so much with their little screen time. Bose easily exuded the tenderness and unbridled love of a mother, whereas Kidman shone with her honest and naked portrayal of the adopted mother who loves her son unconditionally. Rooney Mara was just wasted. It could have been any other actress. Music was by Hauschka and Dustin O'Halloran and was more generic than memorable. A shame they did not adopt a more Indian-influenced score. Greig Fraser lensed the film and there were some really great portraitures and landscape shots. 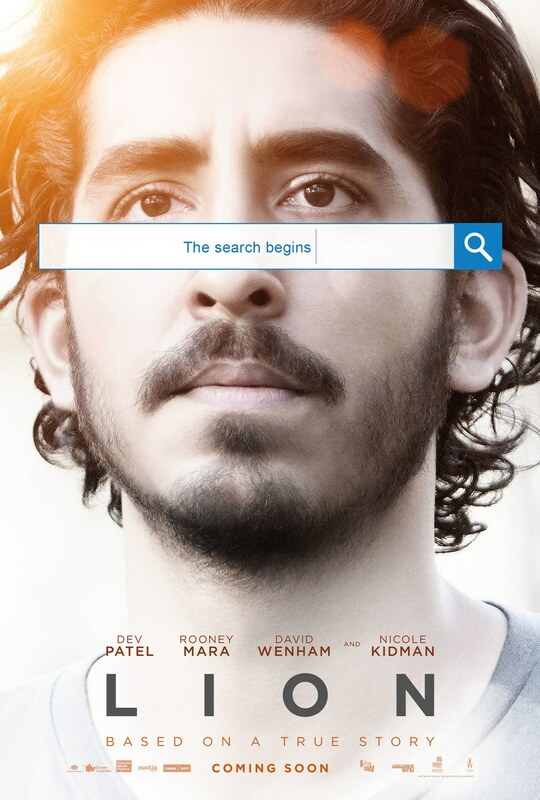 Lion was based on a fascinating story but unfortunately in this case, the truth seemed a lot more interesting than fiction.